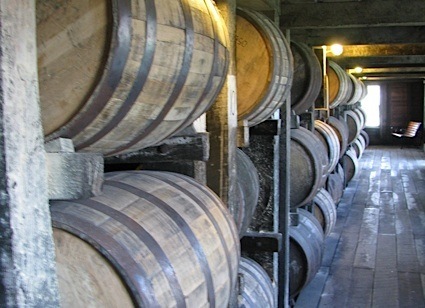 Bottom Line: A fun and funky peaty American whiskey that doesn't skimp on flavor. 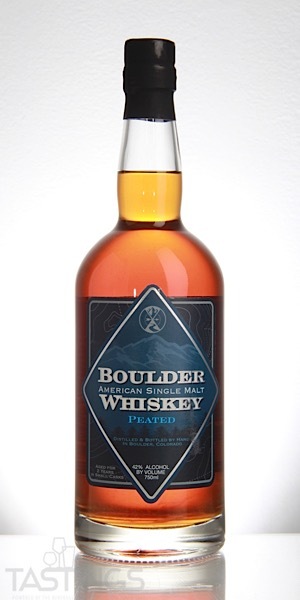 88 • Boulder American Single Malt Whiskey - Peated 42% (USA) $59.95. 90 • Boulder American Single Malt Whiskey - American Oak 42% (USA) $59.95. 93 • Ginskey Barrel Rested Gin 47% (USA) $42.00. 90 • Rhok New Western Gin 47% (USA) $30.00. 92 • Rhok 114 Navy Strength Gin 57% (USA) $35.00. 93 • Vapor Distillery Boulder New Western Gin 47% (USA) $33.00. 96 • Vapor Distillery Boulder Ginskey 47% (USA) $40.00. 85 • Vapor Distillery Boulder Vodka 40% (USA) $25.00. 94 • Vapor Distillery Arrosta Coffee Liqueur 30% (USA) $25.00. 85 • Vapor Distillery Pumpkin King Cordial Liqueur 30% (USA) $30.00. Boulder American Single Malt Whiskey - Peated rating was calculated by tastings.com to be 88 points out of 100 on 10/25/2018. Please note that MSRP may have changed since the date of our review.